Rare find! 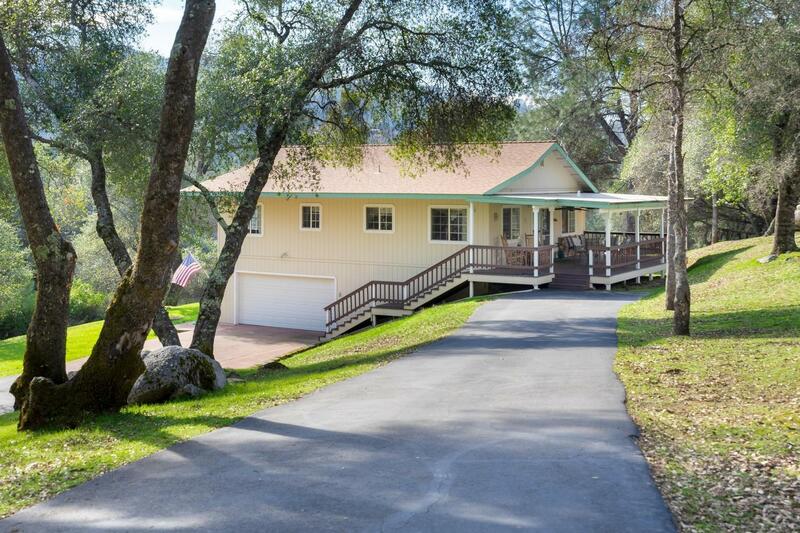 Two separate homes on one beautiful 5 acre parcel. Main 2bd/1ba home features cozy stove in the family room plus an office. Kitchen has granite counters and plenty of cabinets. Covered Trex deck in the back with cooling fans overhead and lovely views of the oak studded property. Large attached garage plus a basement provides lots of extra storage. Second 3bd/2ba home has covered front porch, spacious open floor plan, master suite, and detached garage. Beautiful acreage features 2 wells, plus a spring well, 2 barn/work sheds with roll up doors, RV parking, and more.